It was a wonderful, whirlwind few days in Boston for the fourth annual Beer Bloggers Conference–the second I’ve attended. Shortly after I started this blog in 2010, I found out about the very first conference, which was held in Boulder. There I got my feet wet in the beery world of brew geek writers like myself…and this time around I reconnected with many of those folks! It was great seeing Gerard from Road Trips for Beer, Sanjay from The Not So Professional Beer Blog, Carol from Micro Brews USA and many others once again, as well as meeting new-to-me beer bloggers. 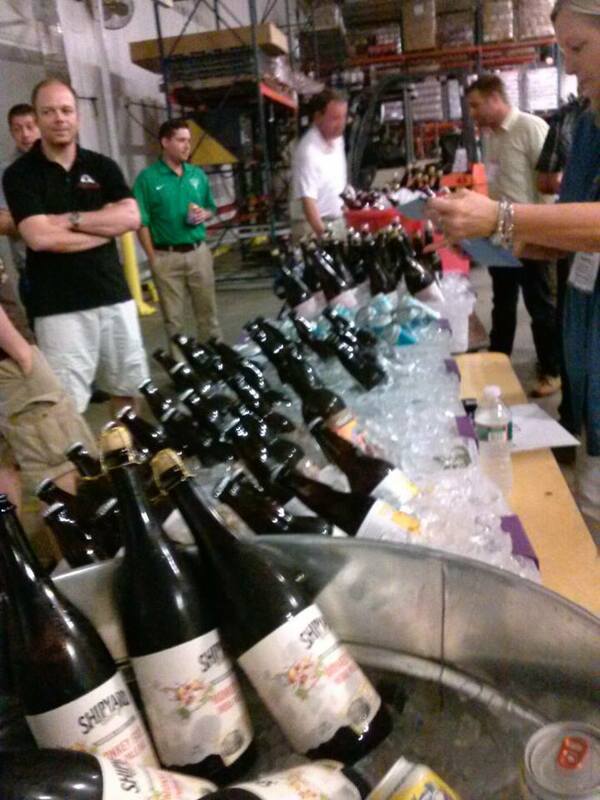 The sessions were full of great information, but the highlights were the two brewery tours and beer dinners. The first, on Friday night, was hosted by Jim Koch and his staff at Boston Beer, at the Sam Adams brewery in Jamaica Plain, MA. 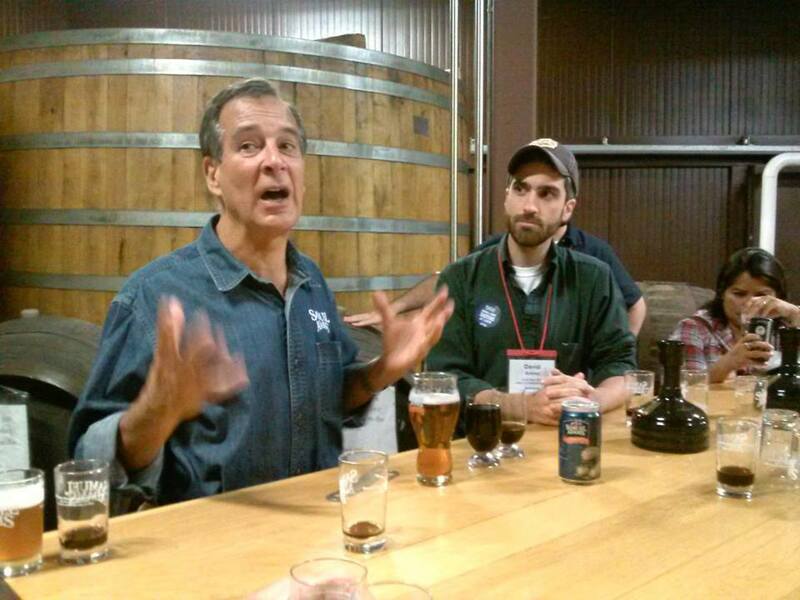 Following remarks from Jim (we were greeted with a can of Boston Lager on our chairs in the brewhouse and his greeting that he didn’t like talking to sober people “because they’re mean!”), we had the opportunity to sip some Utopias with him while he regaled us with stories. Can’t beat that. 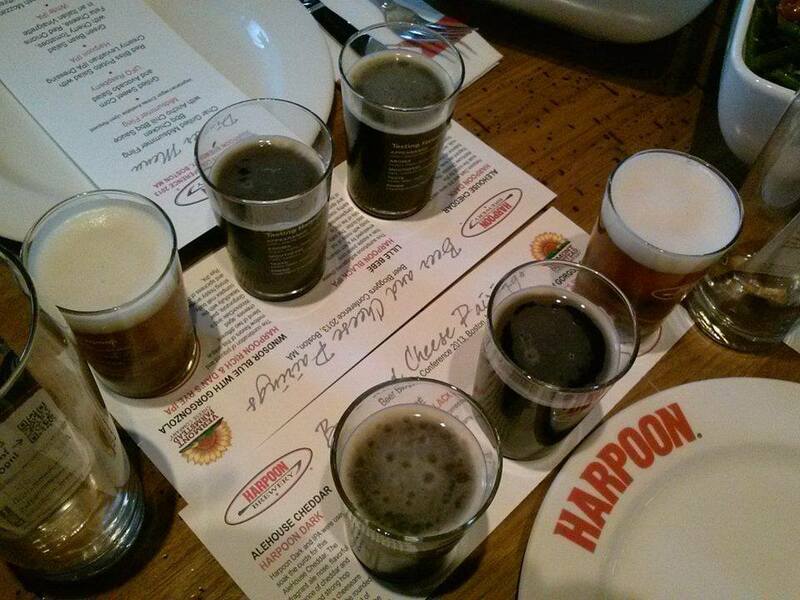 On Saturday, following the speed tasting event at Burke Distributing, our beer dinner was hosted by Rich Doyle, founder of Harpoon Brewing Company, at their waterfront brewery in downtown Boston. Upon our welcome, Harpoon treated us to a special Imperial White IPA that was brewed just for us beer bloggers! They laid out quite a spread for us in their taproom–all kinds of cheeses, meats, pizza, salads and chicken, specially paired with their beers. Delicious and fun–the setting was tremendous. Sunday morning kicked off with 10 five minute blogger reports. 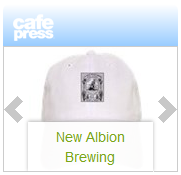 I had the chance to present a bit of the story of New Albion Brewing to those gathered–and I enjoyed hearing from my counterparts. The keynote was then given by Ray Daniels of the Cicerone program– it was interesting to hear his path to beer following a career similar to mine in writing, health care marketing and public relations. The weekend was an incredible way to spend a few days with like minded craft beer lovers, and our mission was made clear to us: go forward and keep spreading the good word and great taste of craft beer! 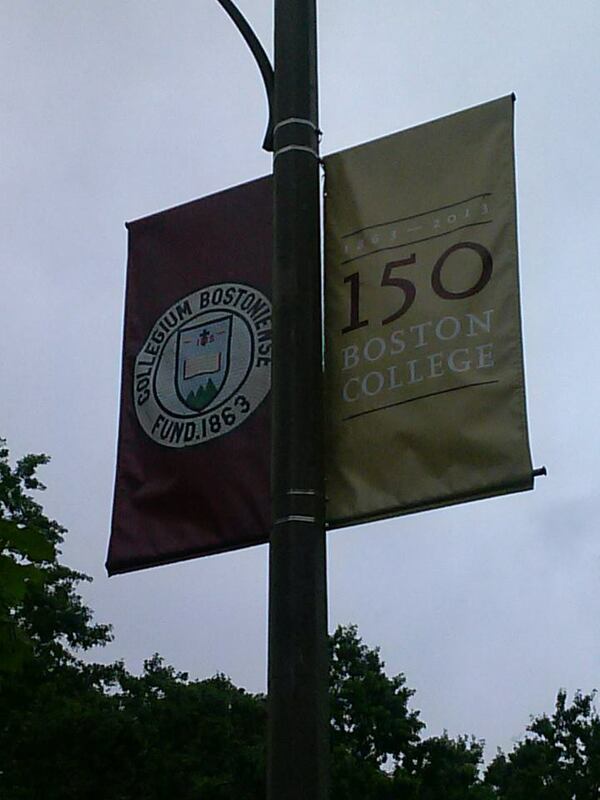 I’ll continue to do so, and I’ll look forward to enjoying more time in Boston now that my girl is headed to BC. At least I know I’ll have plenty of great beer to drink when I visit! It was so great meeting up with you again too! What a great conference weekend. 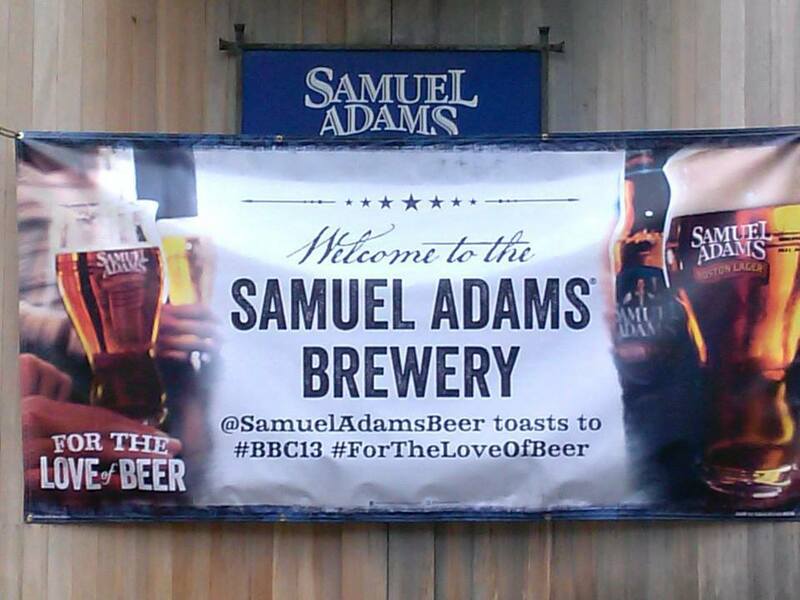 Consider coming down to Tampa for our upcoming Tampa Bay Beer Week (http://www.tampabaybeerweek.com) March 1-9, 2014. It will be a blast and with the newest breweries opening every week (15+ in Tampa Bay alone now!) I know that it will prove to be better than ever.